The BMW Motorsport Customer Racing effort helps out private teams entering a variety of motorsport events around the world. From the Pirelli World Challenge to the IMSA WeatherTech SportsCar Championship and the Spa-Francorchamps 24-Hour endurance race, privateers are racing BMW models around the world, in search for greatness. But being part of the BMW family is about much more than just driving a BMW. The guys from BMW Motorsport put together a video showcasing three of its partners in motorsport, to talk about the challenges they face and how they came to the conclusion that starting a racing team could be a good idea. The footage below includes interviews with Eric Maas, the owner of one of the biggest BMW dealers in Texas and founder of the Fast Track Racing team. We also get some insight into the thoughts of Karim Ojjeh, driver for the Boutsen Ginion team, racing M6 GT3 cars for fun and titles. 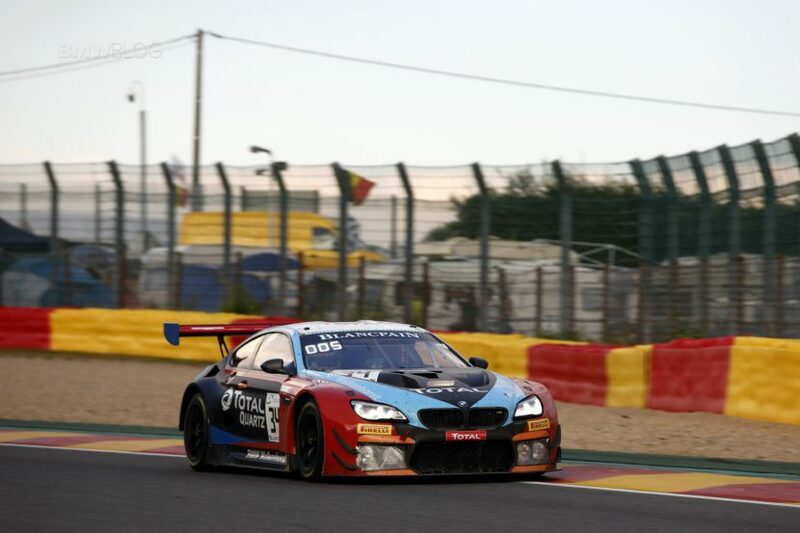 Last but not least, we meet with Henry Walkenhorst, the owner and part-time driver of Walkenhorst Motorsports, winners of the 2018 Spa-Francorchamps 24-hour race. The BMW Customer Racing program offers support for three vehicles: the BMW M235i Racing, the BMW M4 GT4 and the BMW M6 GT3. The BMW M235i Racing runs in the Pirelli World Challenge, 24-hours of Nurburgring, BMW M235i Racing Cup Deutschland, BMW M235i Racing Cup Belgium, BMW M235i Racing Cup China and VLN Championship. The M6 GT3 on the other hand can be seen racing in the IMSA WeatherTech SportsCar Championship, 12 Hours of Bathurst, the Australian GT Championship, 24h Nürburgring, 24h Spa-Francorchamps, ADAC GT Masters, Blancpain GT Series, Eset V4 Cup, International GT Open, Italian GT Championship, Blancpain GT Series Asia, Japanese Super GT Championship and the FIA GT World Cup Macau. However, that tells only one side of the story, whereas the first-hand accounts of the three men in the video below offer a more practical approach to what racing these cars actually means and feels like. For Walkenhurst to win last year’s 24-hours of Spa shows just how far these private teams can get with ambition and a good fighting plan. Let’s hear them out.